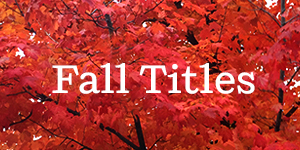 The arrival of Fall is accompanied by an impressive lineup of books across our Penguin Random House imprints. The focus of this first installment of our Fall Fiction Preview is a selection of new upcoming works by authors whose books regularly appear on national bestseller lists, including Margaret Atwood,Lee Child, Janet Evanovich, Tana French, W.E.B. Griffin, John Grisham, Laurell K. Hamilton, Jonathan Lethem, Debbie Macomber, Jojo Moyes, Jodi Picoult, John Sandford, Alexander McCall Smith, Danielle Steel and Stuart Woods. Subsequent previews will present titles by more bestsellers as well as debut and emerging authors plus books from other genres, such as memoir and young readers. Check back on for more previews of our books in the coming weeks.